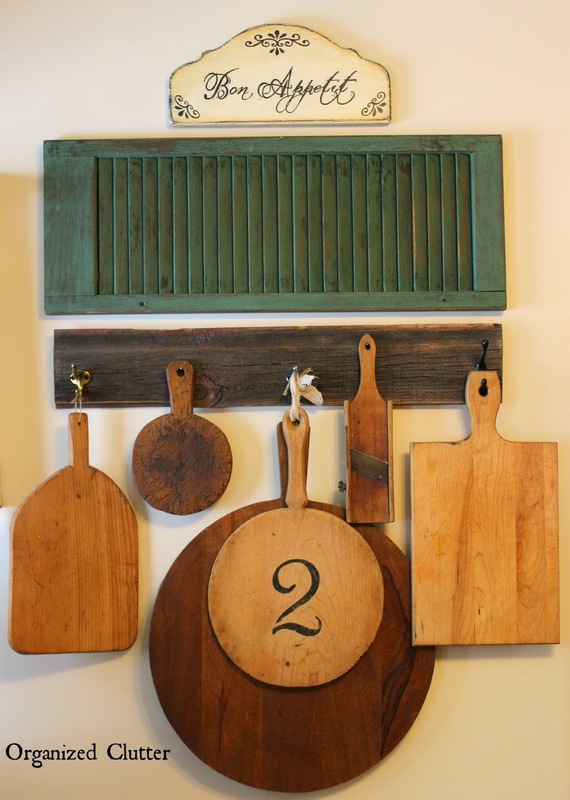 A piece of weathered barn wood siding became an inexpensive way to hang various sized and shaped cutting boards. Full details HERE. 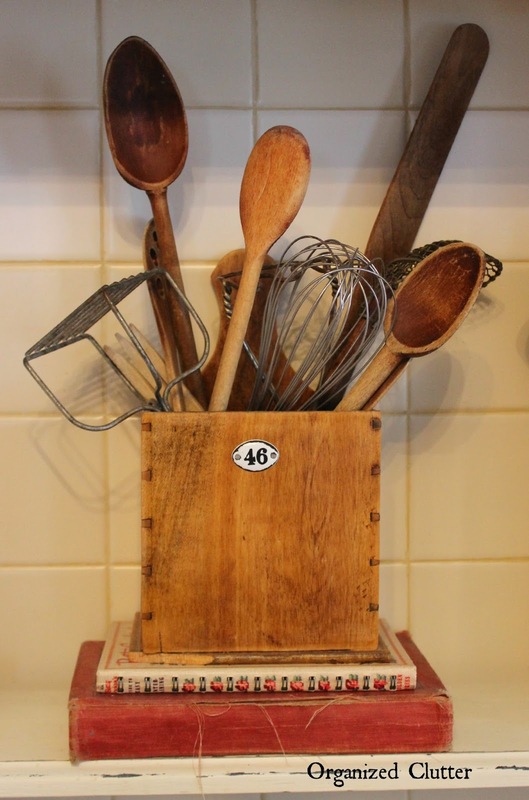 This dovetailed wooden wall box is also great for vintage utensil display. I added a Tim Holtz crafts enamel number tag "46". The box is sitting on top of vintage cookbooks. 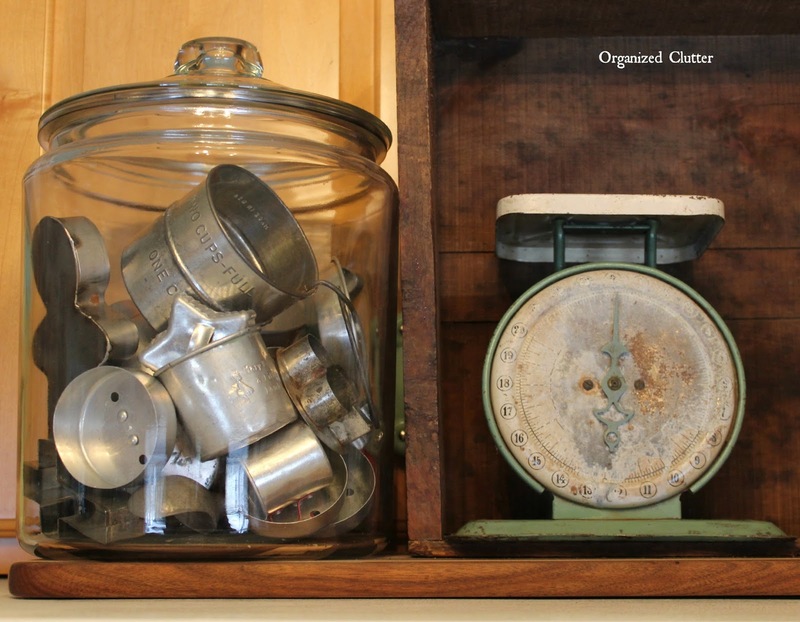 Another great way to display vintage kitchen collectibles like this tinware, is in a large clear glass canister jar. 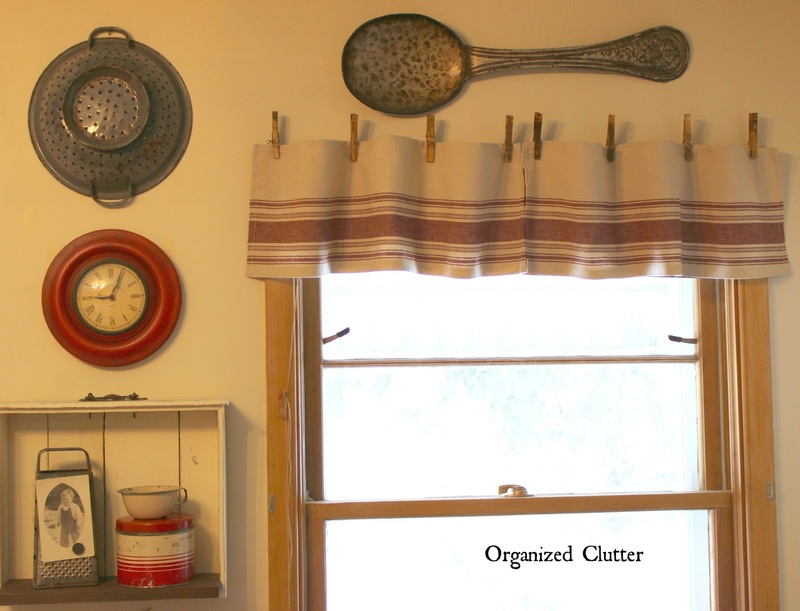 This re-purposed drawer shelf is perfect in a farmhouse kitchen for vintage kitchenware display. A thrift shop breadboard was transformed into a great farmhouse decor piece HERE. 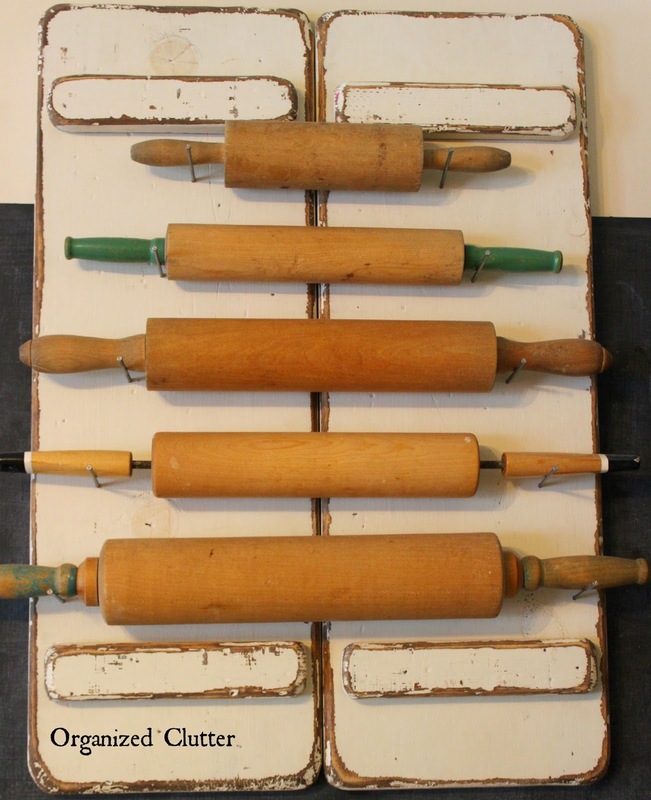 Wanting a new way to display rolling pins, I came up with an easy idea HERE. 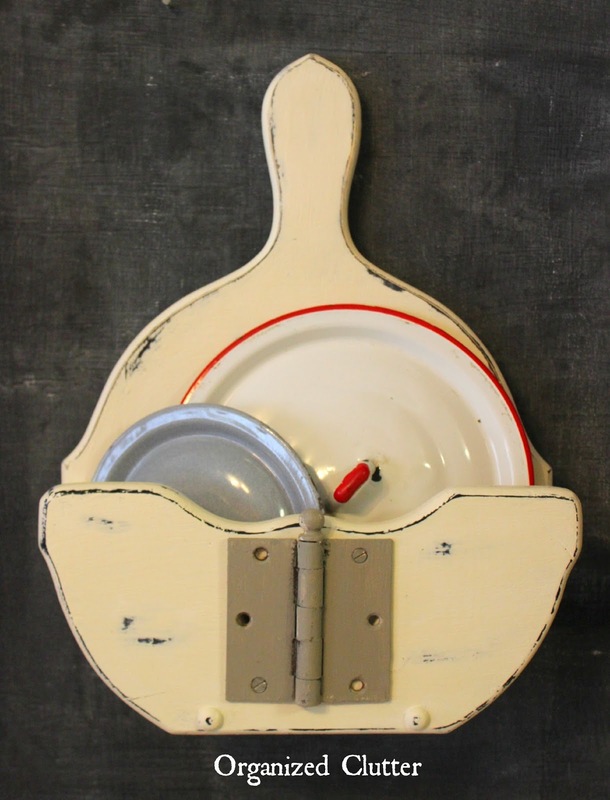 A country paper plate holder with a dated heart cut-out was given new life in a farmhouse kitchen storing or displaying enamelware lids. Tutorial HERE. 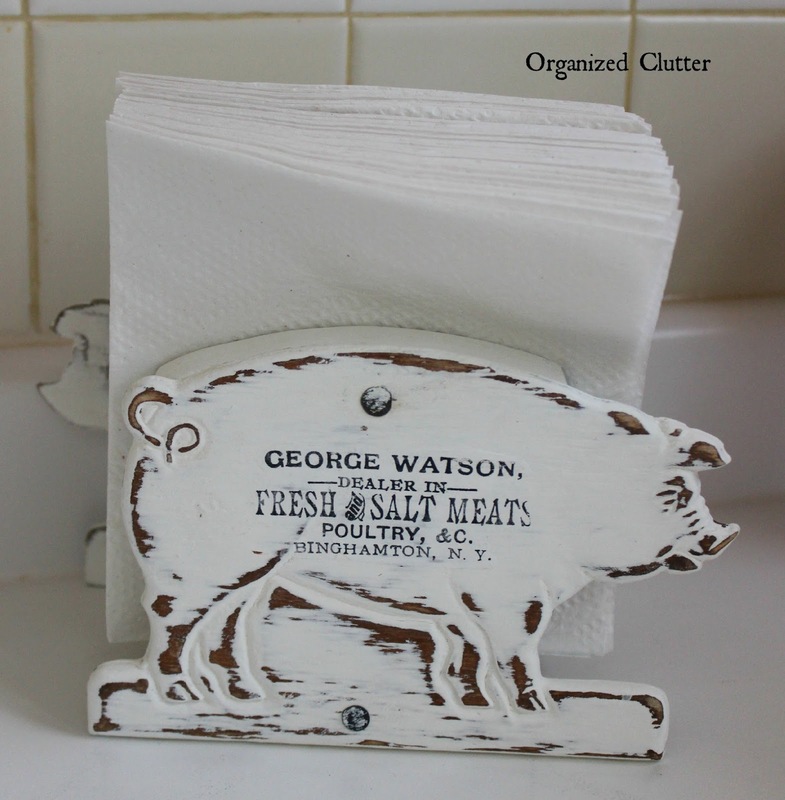 This farmhouse style pig napkin holder was made from a mail organizer HERE. An old crank handle makes a great dish towel holder. Details HERE. 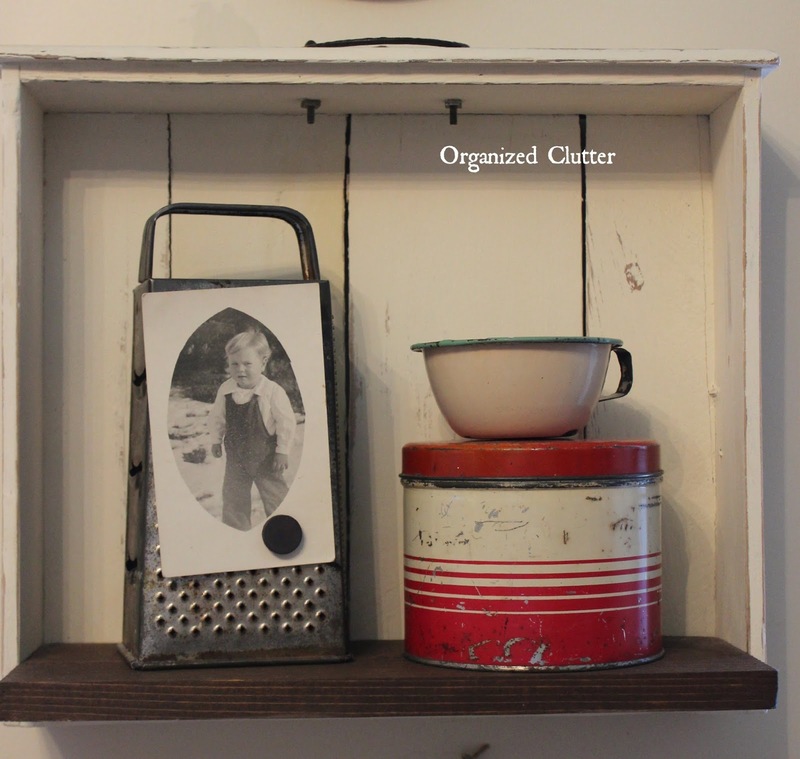 A vintage spice rack get farmhouse style with chalk paint and chicken wire HERE. Easy No Sew Grain Sack Towel Valance is hung with clothespins. Farmhouse kitchen style is both easy and budget friendly! 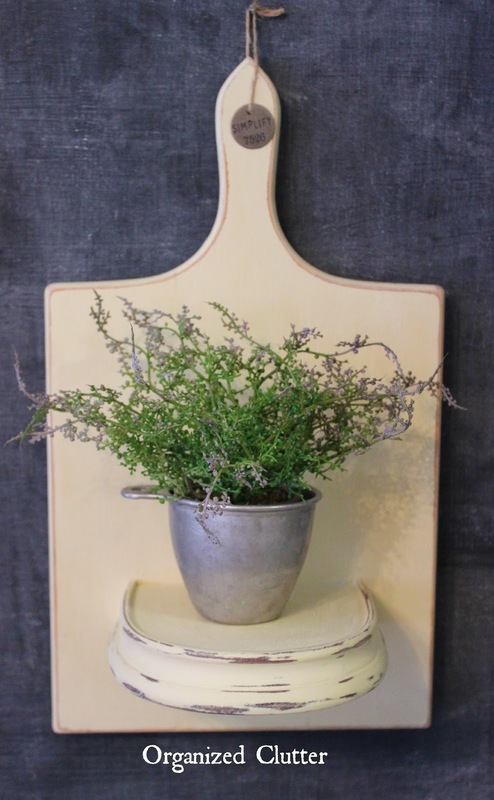 Also be sure and visit my Hometalk Rustic Kitchen Clipboard for even MORE ideas. 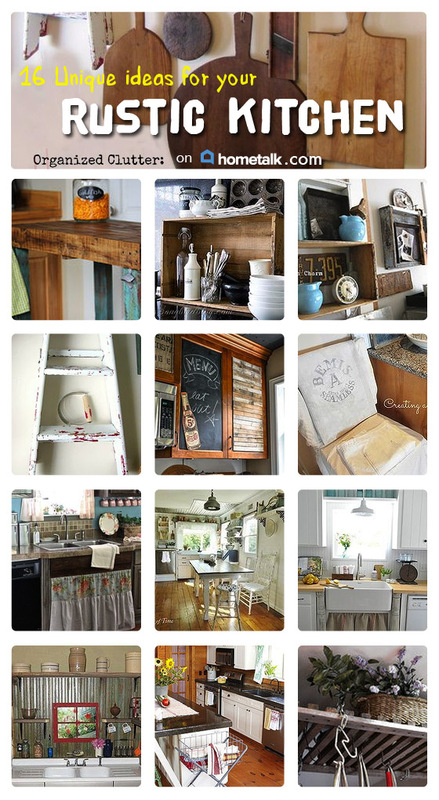 These are all wonderful ideas but my favorite is the grain sack valance!! I just found your blog through Pinterest.. your blog looks like a lot of fun and you have great ideas. I love old stuff ..collecting and re-doing, too ! I'll be following along .. Thank you for sharing. So many great ideas, Carlene! I love the difference the little number added to the dovetailed box! Love all your ideas! The pig napkin holder is so cute! 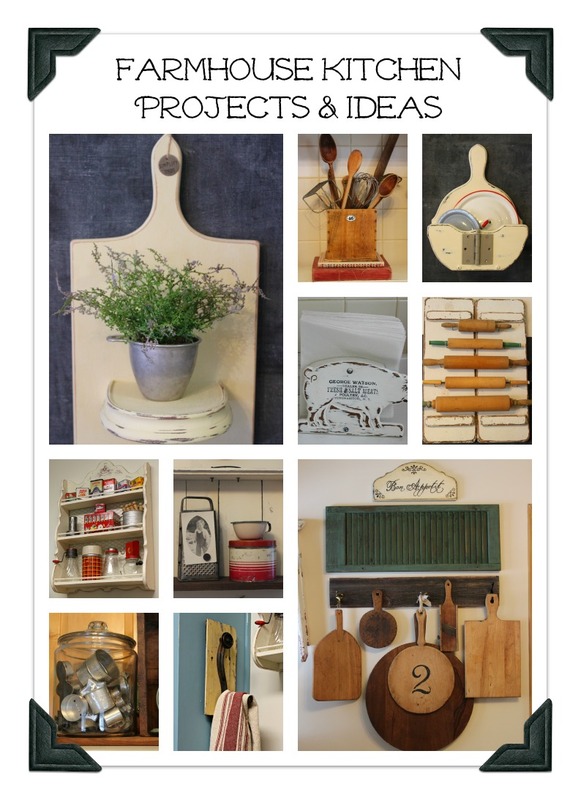 It's hard to pick a favorite - I'd love to come hang out and repurpose junk with you! Carlene, you clever gal you. So many fabulous ideas! Would love a holder similar to that to hold my enamelware lids. The rack with the chicken wire is so cute and I'm drooling over that chippy red tin! Pinning your clever ideas.